Karin Solberg grew up in the town of Blacksburg, located in the Blue Ridge Mountains of Virginia. She received her undergraduate degree from James Madison University and completed her MFA in Ceramics from Utah State University in 2003. Karin has been an Artist-In-Residence in Maine at the Watershed Center for the Ceramic Arts, as well as Berea College, Kentucky. 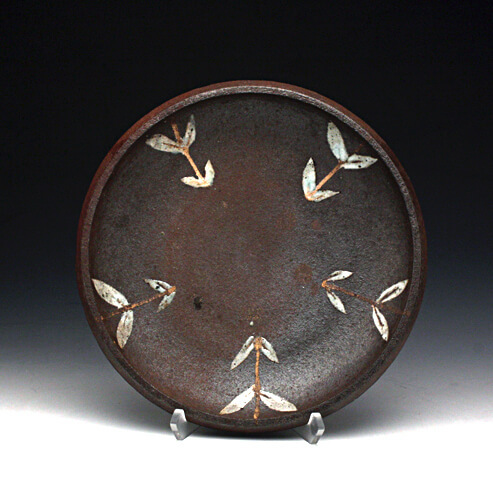 She has traveled across the nation, teaching ceramics at Chester Springs Studio, Pennsylvania, Northern Arizona University, Flagstaff and recently at Minnesota State University, Moorhead. After completing her Red Lodge Clay Center Residency, Karin resides in Red Lodge, Montana where she works in her studio. The arid, orange rocks of the Southwest, the lush, green hills of Appalachia, flora in the changing seasons, storms and stars in the sky; these visuals inspire the color palettes and patterns I create using ceramic material. By combining intriguing components, I generate a visual quilt the viewer interprets based upon their personal relationship to nature. I produce pottery to celebrate craft, local food and our surroundings. A platter, containing a home cooked meal, initiates community between family and friends. The daily habit of using a thoughtfully, handmade object is an important practice in this fast paced, mass produced world. My goal as an artist ultimately is to produce wares that invite art, health and pause in the everyday: enlivening the home, meals, body and mind.